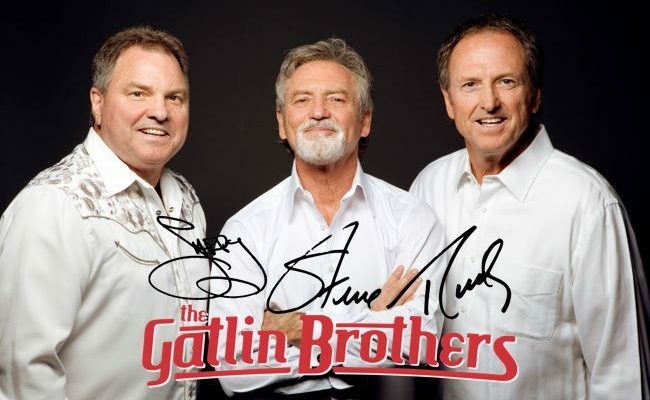 Larry, Steve & Rudy: The Gatlin Brothers have been dazzling audiences for more than 60 years. It all began in Abilene, Texas in 1955, when Larry was six, Steve was four, and Rudy was two. Since those days, the road the brothers have plowed has won them countless awards and has taken them to numerous concert halls, festival stages, national television shows (The Tonight Show, Jimmy Kimmel Live!, The Late Late Show, etc.) and even the White House on several occasions. The brothers have seen their music top the charts and touch the lives of fans of all ages.